The story is actually not that remarkable. Just Google “Peter Principle” and you’ll get the picture. In short, our friend took water over his head, and like the emperor of the fable, chose to walk naked on the street rather than recognize his foolishness, substituting his clothes with an elaborate fabric of lies and half-hearted efforts to conceal his incompetence. Smoke and mirrors may momentarily divert your audience’s attention, but it will not alter their perception of the truth. Reality can only be so much distorted. You see, most people are not idiots, and betting on the opposite is a risky call to make. Through equal amounts of bluffing, manipulation and lack of oversight, our friend here managed to slip under the radar for little over 10 years. I don’t know what’s more appropriate – giving him credit or scorning the people around him who did not spot the elephant in the room. The bottom line is, though, that he was eventually caught. Interestingly enough, when the proverbial sh*t finally hit the fan, he was so caught up in his own world of lies that not only did he not see it coming, he did not understand why it came. He believed he was misunderstood, that people were lobbying against him. That’s the thing about deception -it’s a house of cards, a castle of air, that may be beautifully constructed, but that will fall to pieces if you cannot eventually back it up with something concrete. And left standing in the debris we find the true fool of the story – the manipulator himself. You see, though some people have a greater level of nonsense-tolerance, and others, simply fewer tentacle, in the end no one likes to be taken for a fool. Or actually, I find it quite amusing. 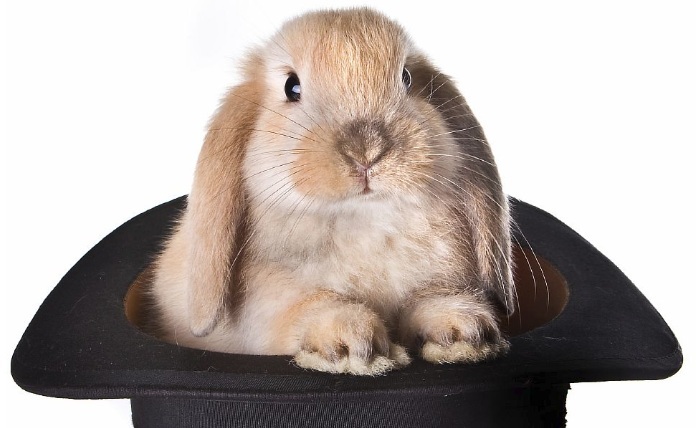 I’ve seen more bunnies being pulled out of hats than I’d like to admit, and people regularly try to manipulate me. My support is solicited, my work copied, my effort demanded, my commitment taken for granted. All under the working assumption that it is in my own best interest. I presume I invite it. See, I have this naïve belief that people will respect you even if you are the nice, introvert type. I guess I don’t have to tell you that I tend to get disappointed on that point. The beauty of it, however, lies in accepting exposure while avoiding contamination, and this is where interesting things start to happen. When people try to manipulate you, they inadvertently give you a clue to the inner workings of themselves and their surrounding ecosystem. And this is a true goldmine if you manage to spot the trick. Think about what the person is asking from you, or what actions she takes. What demands are placed on her that causes her to make these moves? Who is she, in turn, trying to influence? And for what purpose? What assumptions are being made, and do they hold true? Being the target of manipulators does not have to make you a victim. Quite the opposite – you can enjoy the show. As people pull you into the sphere of their schemes, you will start to discern patterns and better understand the rules of the game. This, in turn, will only make it easier for you to stay out of the mess while being fully conscious of what’s going on around you. After all, ignorance is anything but bliss, and sooner or later, reality catches up with all of us. How you stand prepared to face it is your choice.